That's what immediately gave away that something is off about this one. Clearly not an Atarisoft cart. Just asking if this is the work of Telegames--it looks like something they would do. I've never heard of a Telegames version of Galaxian so I was curious. The seller offering this particular cartridge has a long track record of dumping reproductions on eBay. I wouldn't read much into the reverse of the casing. That is a Telegames cart shell and it's definetely a reproduction that could have been made by Telegames, eColeco or numerous other people. The label suggests one of the first two and most likely Telegames. I don't know. Most of the Telegames carts on AtariAge's database use text labels. The database does show repo boxes, but Telegames added their logo to the boxes. Initially Telegames UK produced some very professional looking labels for their reproductions, but in a case like this Galaxian, I doubt a definitive answer on it's origins will ever be had. That the seller lists it as a "novelty/repro cart" with label artwork so at odds with other Telegames releases suggests this is not original to Telegames. He/she took the effort to reproduce the manuals for the co-listed Bit/Telegames fakes (Tank Wars, Boulder Dash, Strike It, Cosmic Crisis) but not for this one, which is also cautionary. And strange, though I would imagine attaching a dummied Atarisoft manual to this listing would give the lie to the nature of this cartridge. I'd strongly wager this is nothing more than a homemade fake. $70 + shipping is simply too ridiculous a price to pay to prove that incontrovertibly. ETA: At least one person knows for certain what this is, but isn't saying: the seller. The outright CYA-ism of the one-line cartridge description reads that way to me. Perhaps I'm being unduly skeptical, but the offer strikes me as deliberately coy. The seller clearly knows which hard-to-find games to selectively market, while keeping mum about their origins in the hope potential buyers will supply their own wishful thinking. Maybe that's being too harsh about it. Edited by mumbai, Thu May 10, 2018 9:07 AM. Nice! I've never even heard of that before. Is there a patched version of Defender for NTSC CV owners that makes the game harder? I've been seeing a ton of listings from voltman lately that are EXTREMELY deceptive. Carts like tank command for the 7800 that look spot on but if you drill into the listing you'll see "Novelty Cart" mentioned. I've almost been taken in several times till I see its him. Very shady listings in my opinion. This seller has been pulling this crap for some years now. Edited by Atari_Bill, Sat May 12, 2018 1:14 PM. 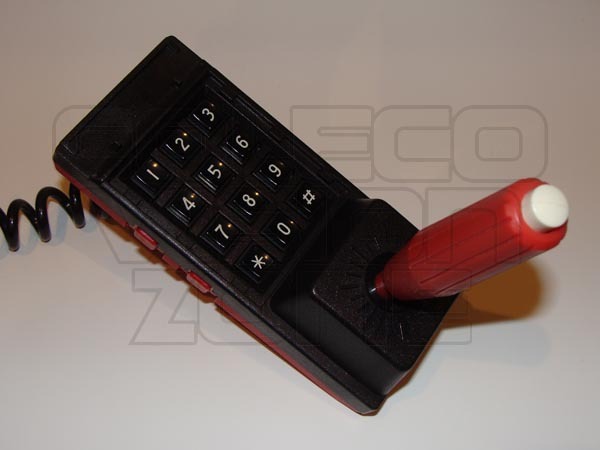 If those IC locations are not for Coleco controller ICs...what the heck are they for? 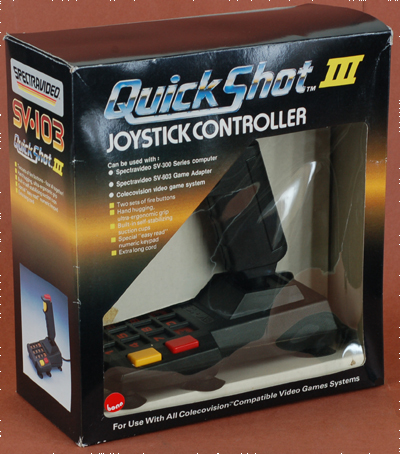 It would be really neat to be able to use all the Coleco controllers and peripherals on the DINA--and therefore have "100% compatibility," minus the handful of titles that seem to glitch out on the system--but I wonder if the presence of Coleco controller ICs, even theoretically, would mess with the native "joystick" and SG-1000 compatibility? I recommend it to no one. 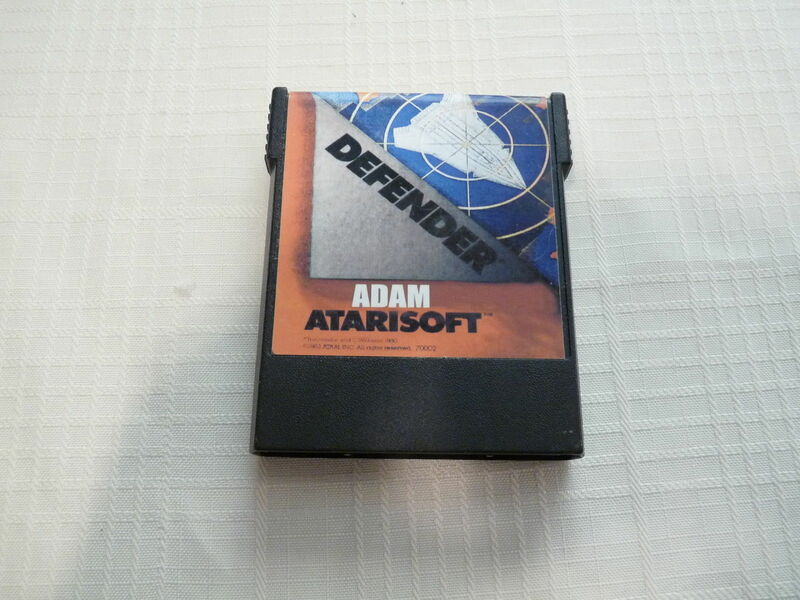 And even with this handheld monument to masochism, Defender is still a complete push-over. Damn It!!! I was going to go with the Wico CC but then changed my mind. I'll give you this round, the Wico CC is worse. I'll give you this round, the Wico CC is worse. Well, it's not like anybody "wins" with either of these. Hook up a 2-in-1 Y-Adapter and then the Quickshot and Wico CC to the Y-Adapter. You can choose what joystick and fire buttons to use but they can't be from the same controller. Yay, necrobumping my own thread! A few months ago I was generously gifted a reproduction Alcazar cartridge, and have just now fired it up on my DINA. Works perfectly!